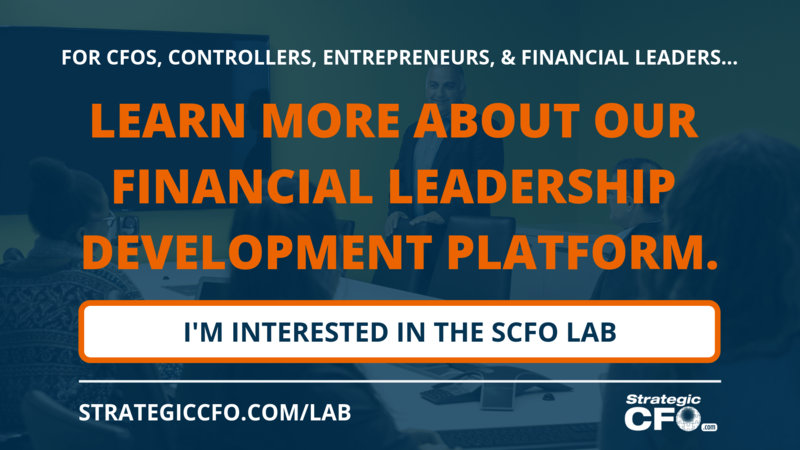 When The Strategic CFO was first founded in 1999, there was a lot of disregard for financial leaders and CFOs. 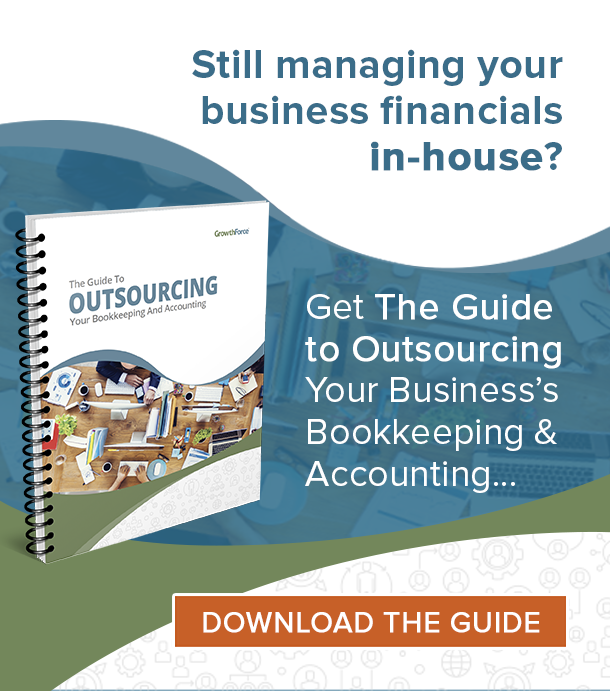 If accountants could do their job, there was no need for a CFO. At least, that’s what many CEOs have thought. But we have been writing, consulting, and coaching those in leadership roles to lead the company financially. Companies cannot simply rely on great salesmen or impeccable marketing campaigns. They need a real strategic financial leader. As the relationship between the Chief Executive Officer and the Chief Financial Officer has evolved, we have concluded that the CEO needs to like their financial leader and vice versa. These two roles have two different responsibilities in the company, but they also need each other desperately. They are the yin and yang to each other. This is truly a partnership and without the chemistry, this is a dysfunctional relationship. The CEO has the vision and drive; whereas the CFO has the financial data that should back up what the CEO wants to do. Simply said, CEOs and financial leaders need each other. While we’ve been talking about how the CEO needs to like their financial leader, the financial leader also needs to like their CEO. We have seen that when the CEO and their financial leader (CFO, Controller, etc.) have a good relationship, transparency and confidence is increased. This is a critical part of a CEO/CFO partnership. It’s a two way relationship. If the financial leader trusts the CEO’s vision, they will be more likely to support their decision. Conversely, if the financial leader does not trust the CEO, then they are less likely going to support them with the financial information they need to make a strategic decision. Likewise, a CEO is going to trust their financial leader if they try to find a solution to implementing a new strategy, campaign, vision. But they will be less likely to trust their financial leader if they are what we call a “CFnO.” In addition, the CFO must have the confidence and relationship to question the CEO and his conclusions without anyone getting their feelings hurt. Our team has worked with plenty of entrepreneurs and entrepreneurial leaders over the course of our companies life. That being said, we have also seen how much the CEO needs financial and strategic direction. CEOs need to focus on the future of the company – the captain of the ship. They need to steer the ship to success. But they need someone to analyze the data, advise, and help them direct the ship forward. Furthermore, the CEO needs a wingman – a trusted advisor. 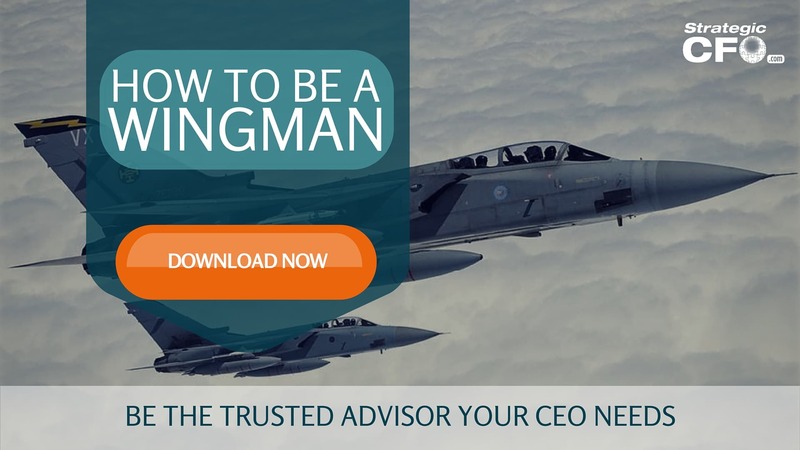 CEOs need a trusted advisor or wingman to guide them financially. Click here to access your free How to be a Wingman guide. The CEO needs to like their financial leader because they need someone to make their flight path clear. 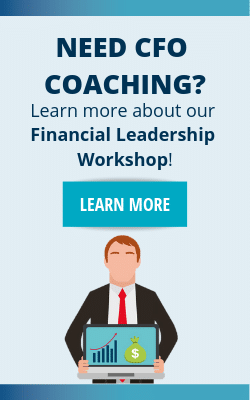 As a result, they need more of you (the financial leader) and a wingman to guide them. They need more of you, not your “no’s.” Start by providing your insight on how to make their ideas come to fruition. As the financial leader your job is not to be a road block, it to understand the operations and the financials and come up with solutions. In addition, get involved and start collaborating with your CEO. This will both increase the amount of communication and help them with their challenges. The CFO should be CEO’s wingman, but it’s often difficult to learn what they want and need. Learn how you can be the best wingman with our free guide! What is a wingman? It’s a trusted advisor that guides the CEO through business challenges. One way to be a wingman is to stay current with the trends. For example, keep your CEO out of trouble. Look at trends in your financial statements, your industry and the economy. Know your ratios, working capital and debt covenants so your CEO does not have any ugly surprises. A good wingman always has his CEO’s back. Click below to learn How to be a Wingman.